It’s the first day of Spring! Well, officially it is… and this is why I am wearing a Spring outfit today. 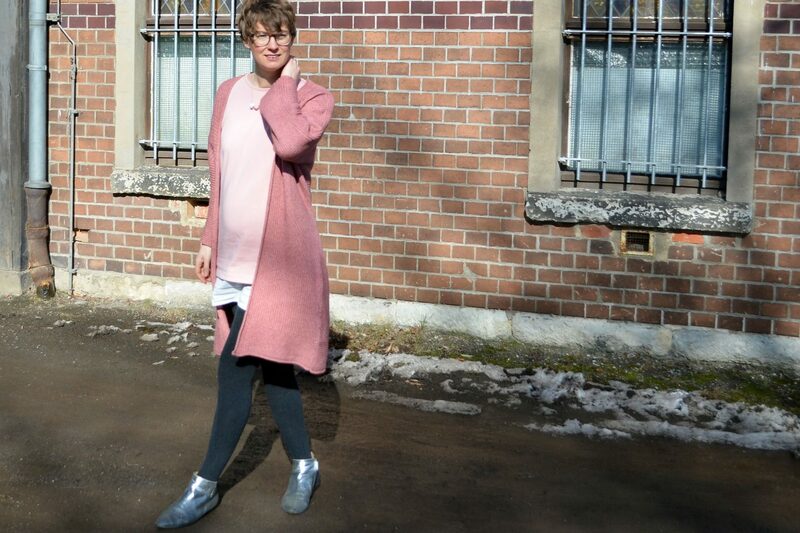 My fair fashion outfit with L’amour est bleu, Stadtelster, and HUG Berlin is not only pretty and pink but also sooo comfy and great for those rather cold days of Spring. The reality is that it is snowing here in Leipzig and that I have a hard time to even leave the house to walk some 200 meters, because it is snowing so hard. But luckily, I took those pictures yesterday when it wasn’t snowing as heavy yet, and when there was sunshine all over the place. Who else is longing for Spring? I sooooo am! So what am I wearing here? 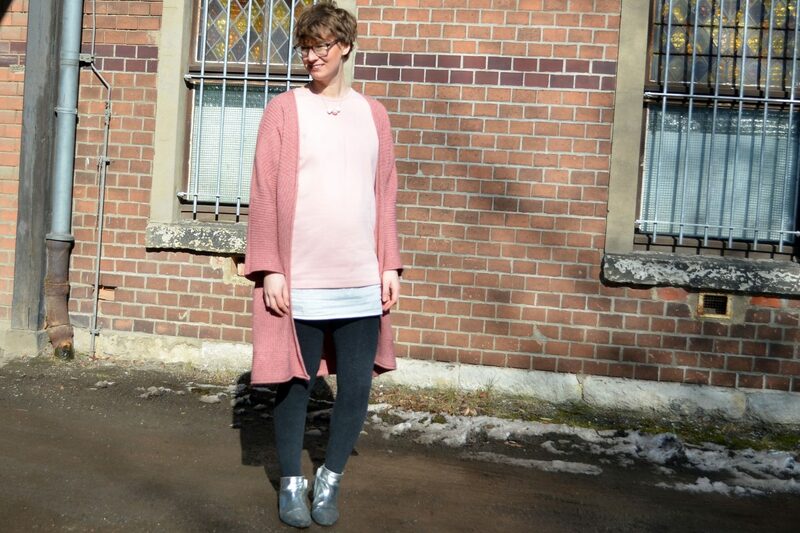 Like usually the outfit consists of only fair fashion labels. I really have a hard time not to wear fair labels any more. Even when I go second hand shopping I find it hard choosing a piece from H&M or others, because I feel like there is blood stuck to these clothes. That is maybe a little exaggerated, but seriously, the more my little girl gets in the age where girls in Ethiopia, Bangladesh, and other countries have start working in the garment sector, the more I get emotional when just walking past a H&M shop. On very bad days (emotionally) it happens that I start crying when just thinking about the way garment workers are treated and the way the environment is treated by the conventional garment industry. I don’t know if anyone can relate to this really strong kind of Weltschmerz I am sometimes facing!? How about those of you being a mother of a girl yourself? Or those of you who travelled in Ethiopia and/or Bangladesh and who know some of the wonderful people and the beautiful children from these countries? So I am wearing this super soft and beautifully pink short dress from L’amour est bleu. I have been blogging about the label back HERE and I cannot repeat enough that I really really like it. All pieces are made from one of a kind fabrics and you can feel the difference, even to other fair fashion labels, by just touching the materials. This dress here is made from cotton, but not just cotton but the softest, thickets cotton ever. Even though the style and color makes it perfect for Spring and Summer, it can actually be worn on cold days too, because of the really warming thick material. On a sidenote: L’amour est bleu just launched their new collection, including an absolutely perfect simple black dress that I fell slighlty in love with. Find it HERE – what do you think? HUG Berlin is one of my favorite sustainable shops to look for new fair fashion items, accessoires, and pretty mugs. In case you haven’t so already, make sure to check it out. Especially when you are looking for ethical fashion pieces that come along with more colors than most of the fair pieces you can find out there. 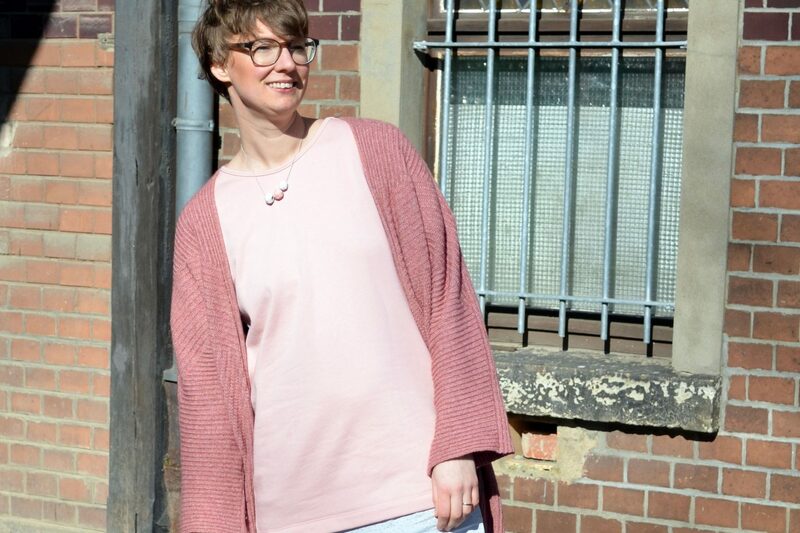 I just realized that both the dress and the cardigan are coming from Berlin and I actually worked with a lot of labels from Berlin already, so it seems like my fashion heart is rather settled in Berlin compared to Leipzig or anywhere else… in case you are from Berlin or you are planning to visit, absolutely make sure to take advantage of all the great sustainable concept stores and fair fashion designer’s you can find there! If you have any questions about where to go and who to visit, always feel free to text me! 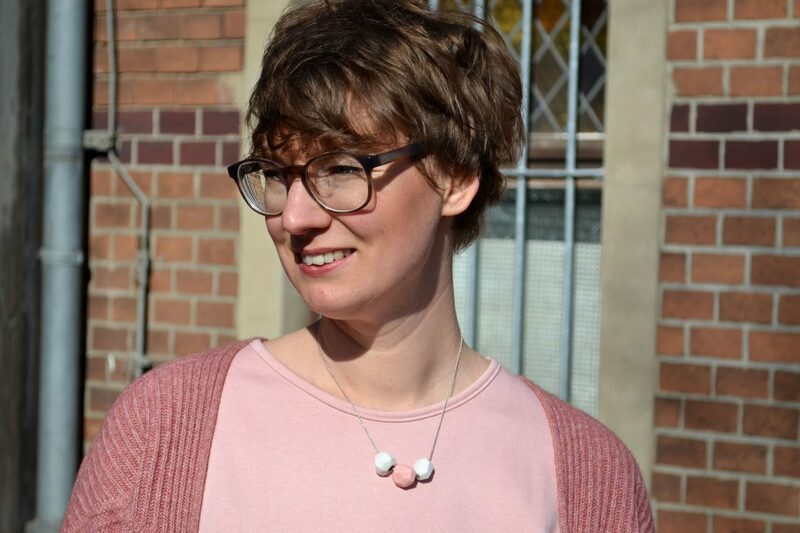 Now, talking about local designers … check out my necklace! I wore it on the blog already once, but the pictures didn’t turn out too well at the time so I wanted to make sure to share it with you again. It is from Stadtelster Jewelery, a small label that is located in Weimar, so not quite Berlin, but the same region, somehow. 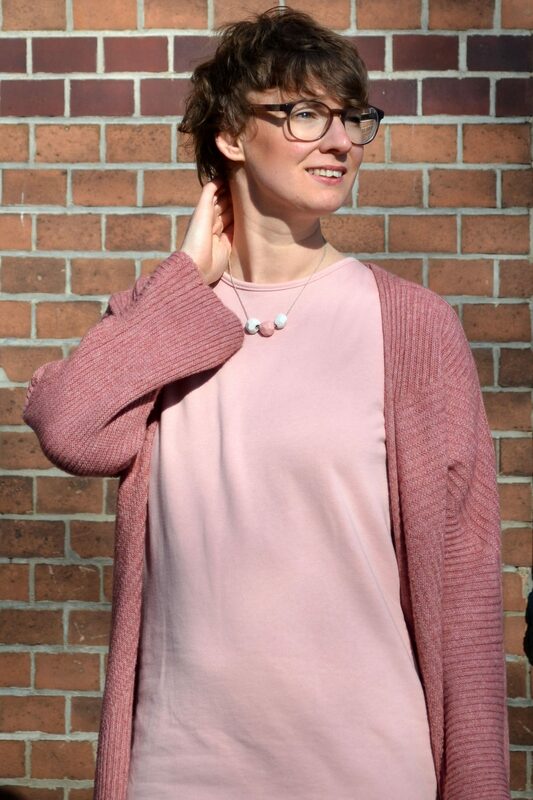 Unfortunatly, the necklace I am wearing here is from a limited edition and no longer available, but you can find a lot of other unique, beautiful pieces in their online shop. Finally, my boots are from Fritz Ferdinand. 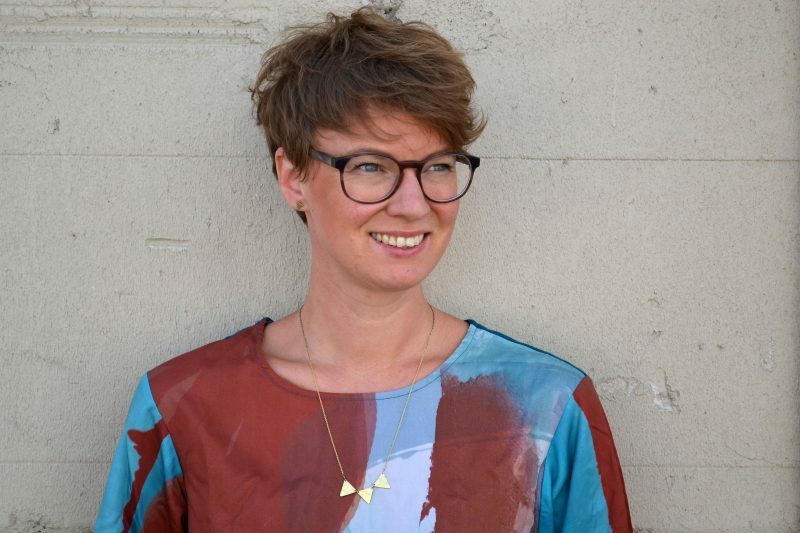 Another one woman fair fashion brand (L’amour est Bleu and Stadtelster are both one-woman-brands too! HUG Berlin is a two-women show 😉 ) from Germany. I wear them intensively since six months now so they got a little out of shape and I will take them to the shoe maker soon to get them ready for next fall. The good thing about high quality shoes is that you can take them to the shoe maker again and again and they will last you forever. I take all my shoes to the shoemaker once a year and I have most of my shoes for over six years, actually. 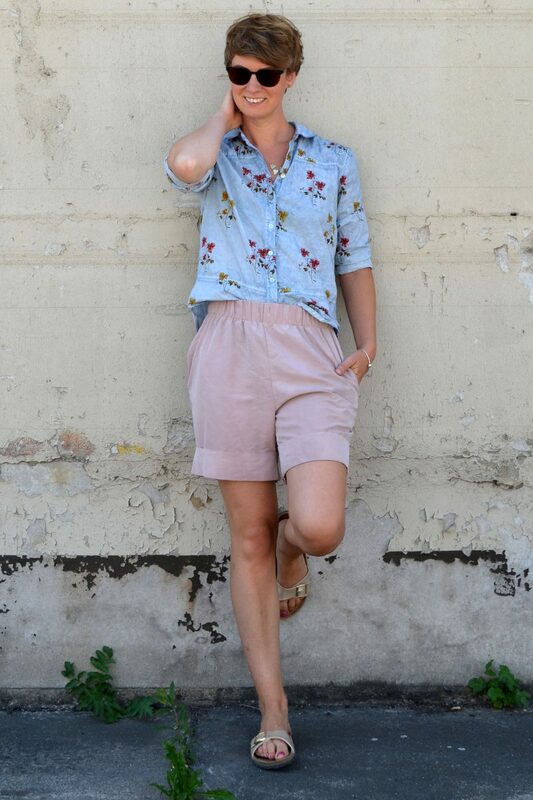 How do you like this Spring outfit of mine? I would love to know! Feel free to comment or send a message or email. I always love reading your feedback; it is, what makes blogging so worth it! Bei uns hat das mit dem Frühlingsstart noch nicht so ganz geklappt. Wir hatten ziemlich viel… Schnee! 😉 Bis ich zu etwas luftigeren Klamotten greifen kann, wird es hier wohl ich etwas dauern.